Is Chewing Tobacco Any Safer Than Cigarettes? One thing is for sure: smoking in any form is never great for your health: both oral and overall. The most common form of smokeless tobacco is known as chewing tobacco. Although, you don’t really chew it, but rather have it sit in the mouth for extended periods of time in order to catch the nicotine “buzz” that most people are wildly addicted to. Is It Really Any Safer? There are people who have quit smoking tobacco, but have moved on to chewing tobacco with the belief that it is a healthier option. Is this actually true? The short answer: absolutely not. Some may even argue that it’s worse for you. Either way, smokeless or smoke – tobacco in any form is not good for you. The main ingredient, nicotine, is what draws people in. This is the active ingredient that elicits the effects cigarette smokers chase and therefore is the reason people become addicted. Smokeless tobacco causes tooth decay – and it can be rapid too especially if you do not counterbalance it with daily brushing and flossing. Chewing tobacco contains coarse particles that not only rip up the gums where the tobacco is stored but also tear away at the enamel of your teeth. Chewing tobacco contains high amounts of sugar too, which sits in your mouth allowing bacteria to feed on. It also causes periodontal disease or gum disease – over time, chewing tobacco will cause the gums to pull away from the teeth, leading to the destruction of soft tissue and even tooth loss. 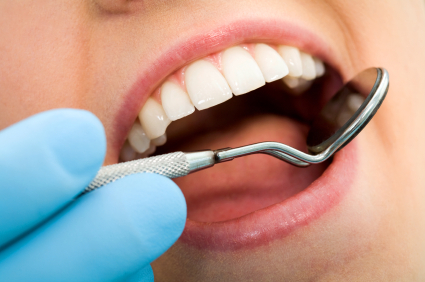 The risk of oral cancer is high. Throat, cheek, gums, lips, tongue, are also a possibility from chewing tobacco. Aside from this, mouth lesions are common over time, which are small white patches that form inside the mouth and are often precancerous. In conclusion, you’re better off staying away from tobacco and all of its forms rather than face the potential consequences down the road. Read more on tobacco and oral health.